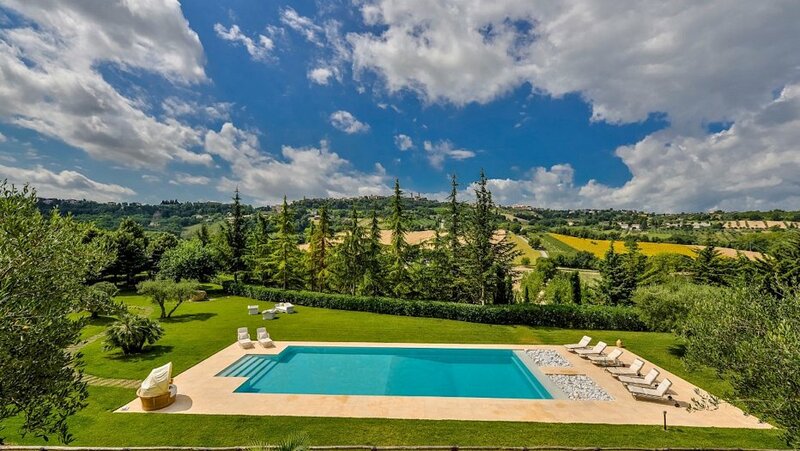 This luxury villa in the beautiful Marche region of Italy offers exclusive use of the house and its grounds. 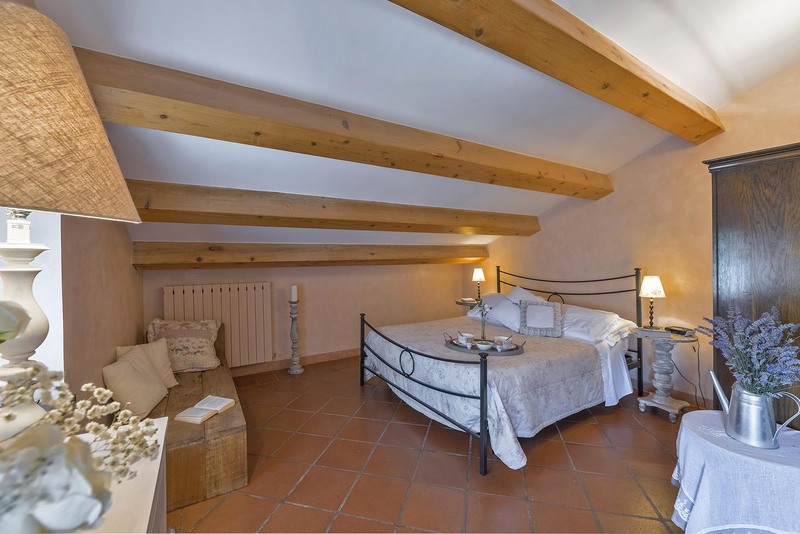 Accommodating a max of 14 guests, the villa is perfect for a large family or groups of friends. 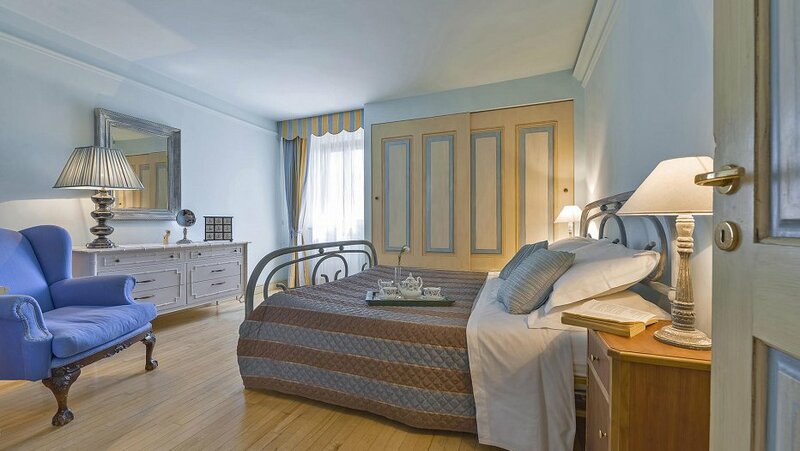 Beautiful spacious bedrooms all exquisitely decorated and furnished with high quality antique furniture. 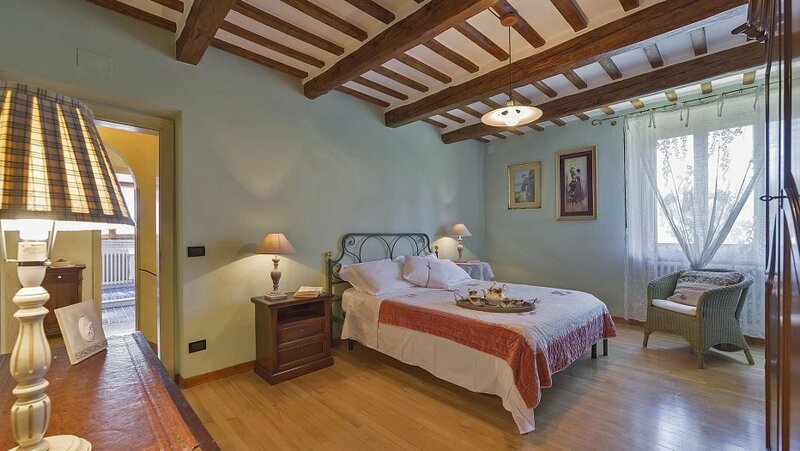 Each bedroom has its own unique style and decor and they were all carefully designed with comfort in mind with high quality mattresses and comfortable pillows and Egyptian cotton sheets. Visit our accommodation page for more information. The heart of Le Marche, Italy where time stands still. 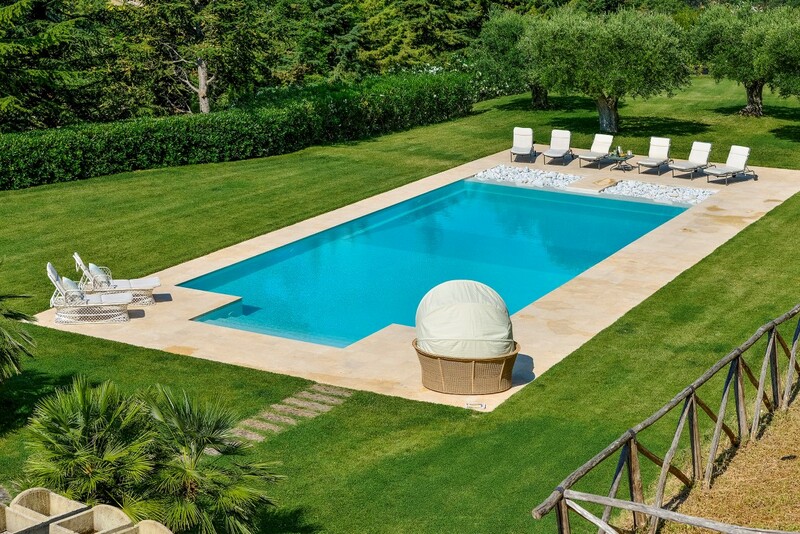 Surrounded by rolling hills, the sound of birds singing and the occasional tractor makes a holiday at Villa Prati a rejuvenating experience and perfect if you are looking to get away from the hustle and bustle of your frenetic lifestyle. 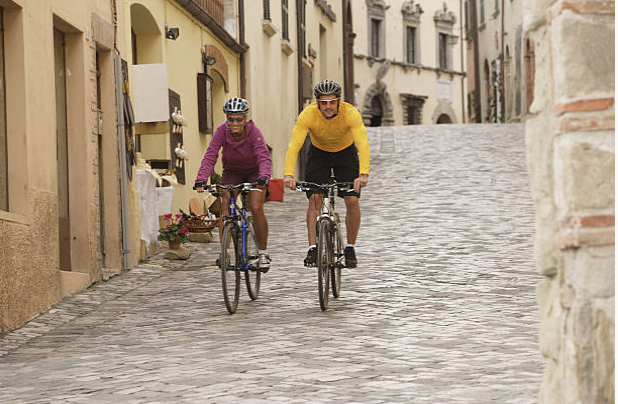 Le Marche region is Italy’s best kept secret, it has everything Italy is loved for without the masses of tourism. 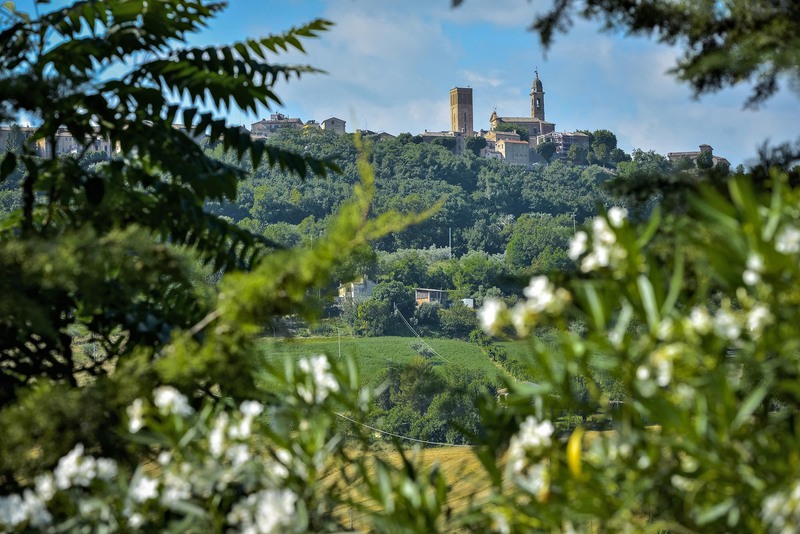 Visit our page on Le Marche area to find more about this wonderful region. Thank you very much Maria and Daniela for the most enjoyable holiday we have had so far! We loved the peace and quiet and the pool was fabulous especially for the kids! We are thankful we stayed for 2 weeks as the second week we managed to tear ourselves away from your gorgeous villa and explore le Marche – for future guests we definately recommend the Gola di Frasassi and we found an amazing restaurant in Sant’Angelo in Pontano called “Duilia”, a definatly must! I had a really great time at villa Prati. 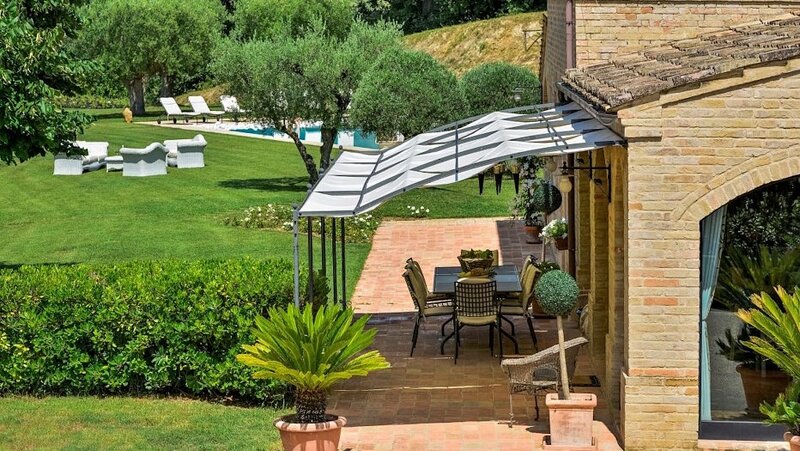 The house and its setting in Le Marche are simply stunning and the way it is set up makes you feel at home immediately. Maria and Daniela were so welcoming and the food, both in the house and in the local restaurants, was mouth-watering. Thank you so much for making our stay at villa Prati so memorable. We had an aboslutely wonderful time and are looking forward to our next visit. We had a fantastic stay. Beautiful house and grounds. Daniela and Maria have looked after our every need. The garden and pool are beautiful. We had a wonderful 2 weeks in your spectacular home and we will be planning our next holiday here as soon as we return! The pool is amazing, we loved the fact that there is no chlorine, the kids were in it all the time. 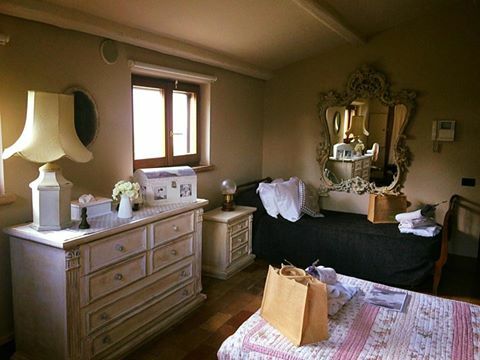 The rooms and bathrooms are perfect, we slept so well and the house is so welcoming we didn’t want to leave. We will take back lovely memories of al fresco dining and lots of(too much) good wine!”We recommend Montechiaro restaurant, just up the road and La Murola winery! 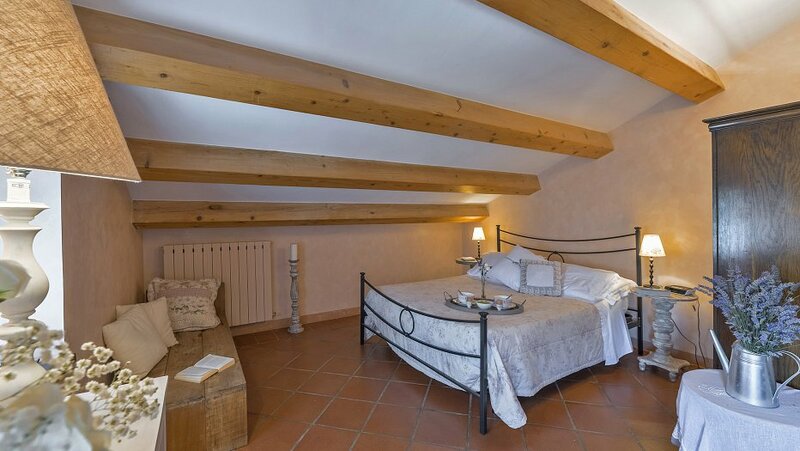 Maria and Daniela, you have created a “jewel on the hillside!” Everything about your villa suggests style and good taste. 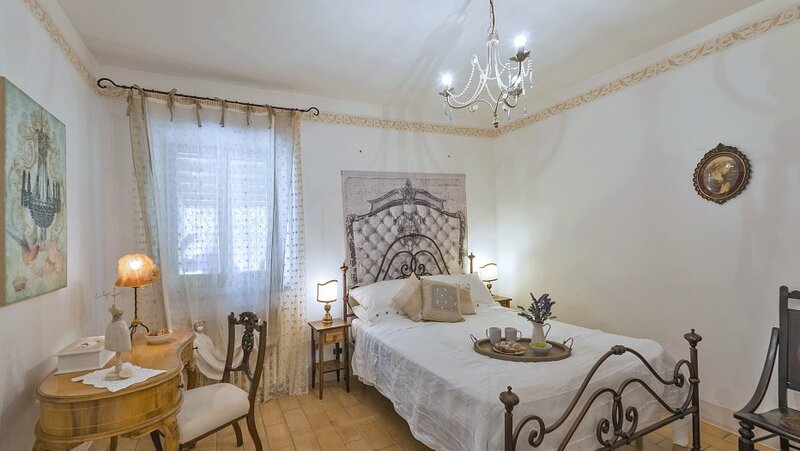 We always enjoyed returning to the villa after our day trips and wondered why we had bothered to leave, as everything we needed was already there! A big thank you to you and your staff. We shall return! 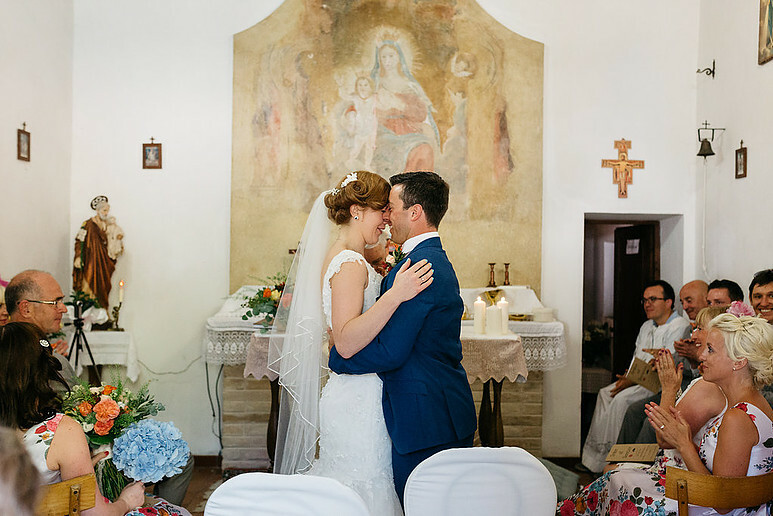 We are both so thrilled with our choice to get married in beautiful Le Marche and very thankful that we were introduced to Daniala as our wedding planner. She made the whole planning process simple and fun, nothing was too much trouble. From arranging menu tastings to choosing floral decorations and everything in between, Daniela helped to make the vision of our wedding day a reality. My husband and i were able to completely relax and enjoy every moment of our wedding day due to Daniela’s superb organisation and creativity. I cannot recommend her services enough - no bride should get married in Le Marche without her! 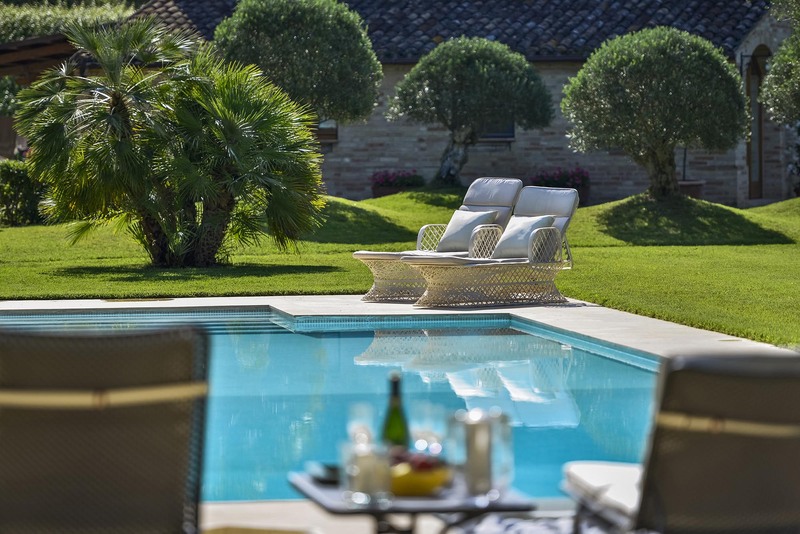 We have enjoyed a wonderful time in your beautiful villa – a holiday we will never forget! We have loved relaxing in the beautiful gardens and swimming in the pool. This part of Italy is so beautiful and is such a well kept secret! Thank you for all the help and advice! We loved the Lake of Fiastra and the Grotta dei Frati. We also enjoyed exploring the roman ruins in Urbisaglia – quite a find! Oh and Zanzibar, the cafe` in Mogliano do amazing ice creams! Thank you so much Daniela for being our wedding planner and doing such a great job. The day went smoothly it was perfect to us and our guests. We received so many compliments it was amazing. Many people said it was the best wedding they had EVER been to, [asuming apart from their own!]. Thanks again Daniela for helping me make my dream come true. Dear Maria thank you very much for making our stay so memorable. We have had a lovely 3 weeks in this wonderful place. The pool and garden are spectacularand it is clear that many years and efforts have been spent developing this wonderful plot. We loved the opera and the food at Marina del Teatro in the village was great and good value! Your lovely home exceeded all our expectations. We had a fantstic holiday and will take home some wonderful memories. Please com and visit us when you come to Bradford! 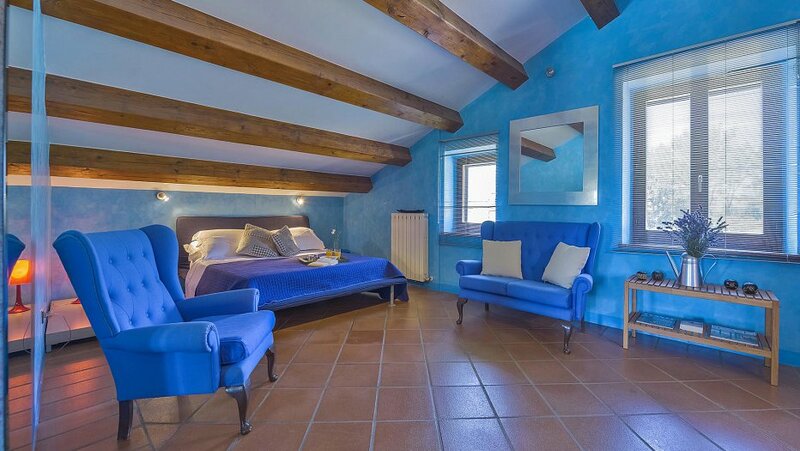 This comfortable, spacious and very well equipped home has made our holiday! We have enjoyed every moment and only wish we booked for longer! We will definately return. We have been coming to Le Marche for years now but we have never stayed in such a beautiful place. 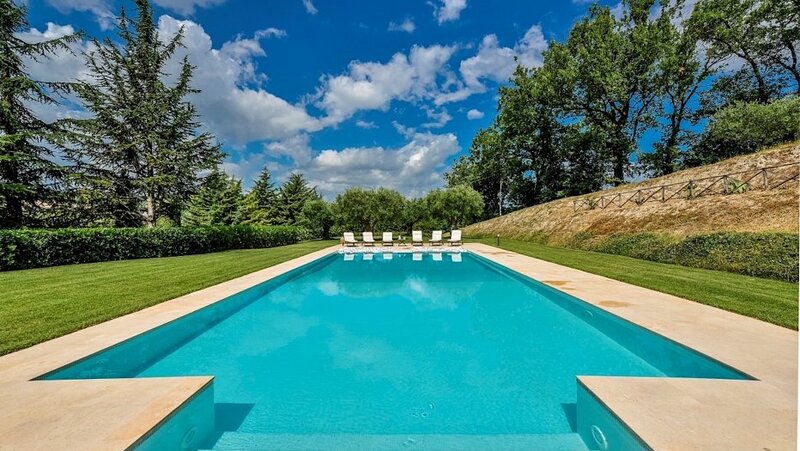 We would totally recommend this villa to anyone looking for a quiet, idyllic farmhouse setting. Not only is the house and grounds beautiful, the surrounding countryside was stunning too. The Villa is close to many small ancient towns, that don’t see many tourists. Everyone we ran into was so friendly and nice, and since we are all food enthusiasts, we had many tours and restaurant reservations, and we were treated to some of the best food we have ever tasted. Daniela, the property manager lived close, and was there when there was a problem very fast. The sofas and beds were all very comfortable, and there was plenty of room for 12 of us to live and not be on top of each other. There was a fantastic kitchen for us to cook in when we weren’t going out. The pool was terrific, the kids loved it! It was kept pristine during our stay and so was the lawn.We enjoyed cooking on the outside grill and we sat around outside at night and enjoyed the calm and quiet. The views were absolutely gorgeous. This place is all you could imagine and more. We recommend hiring a car and exploring the towns and hills, there is so much to see but then again… it is just nice to sit and enjoy the piece and quiet, drink some wine and watch the sun hit all the hills surrounding you. We will be back!